Mr. Fullbright joins the lineage of terse Southwestern songwriters like Townes Van Zandt and Guy Clark, sticking to a few folky chords and reaching for unassailable clarity. —New York Times. 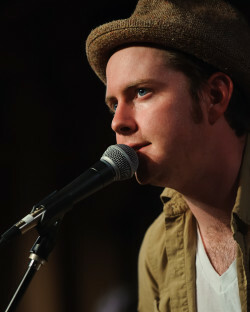 From the Ground Up, this Bearden, OK native’s 2012 debut studio album, garnered a Grammy nomination for “Americana Album of the Year.” A Tulsa favorite, Fullbright has performed on the Late Show with David Letterman, Prairie Home Companion, and NPR, among others. Big thanks to Bank of Oklahoma for sponsoring the day’s events.